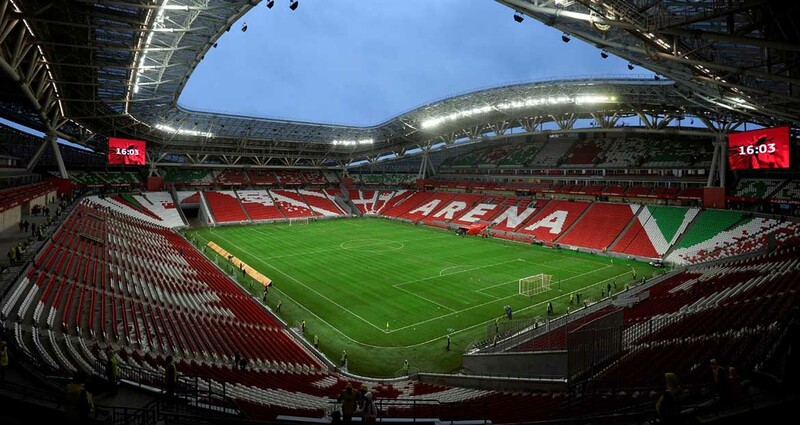 The KAZAN ARENA STADIUM (RUBIN PARK ARENA) — this is a unique stadium, as well as an entertainment complex, which is located in Kazan (Tatarstan). The opening of the arena was held in 2013. 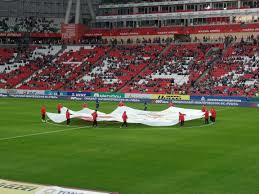 The capacity of the stadium is considered to be one of the largest throughout the country – more than 45,000 spectators. 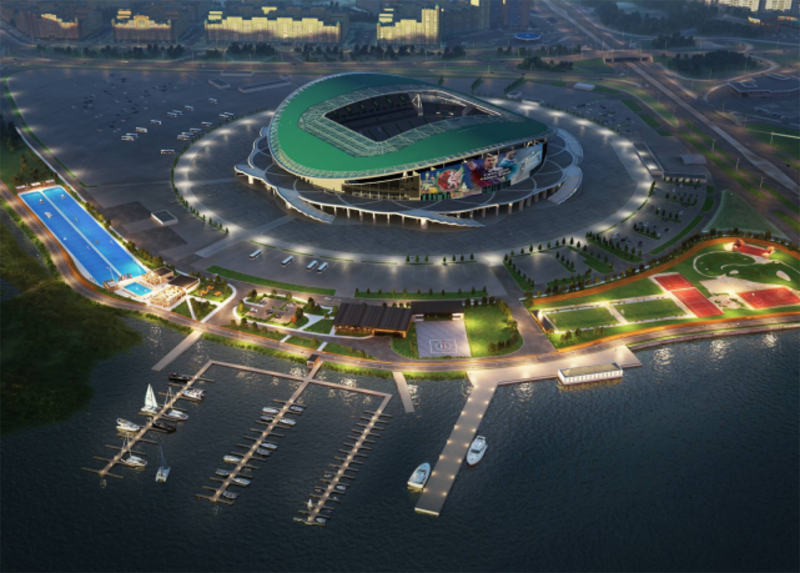 This stadium is a local arena for the Kazan football team “Rubin”. By its appearance, the structure is one of the most beautiful in the whole world. Here everything is highly technological, thoughtful and modern. An architect from Australia worked on the project. He also designed Fisht, a park in Luzhniki. 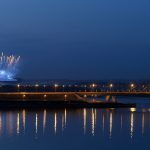 The city of Kazan, thanks to the appearance of such a universal architectural structure, has significantly changed. In addition, unofficially it is called the sports capital of the country. Before the famous Universiade, the infrastructure of the city was adjusted, all parks and places for rest were put in order. 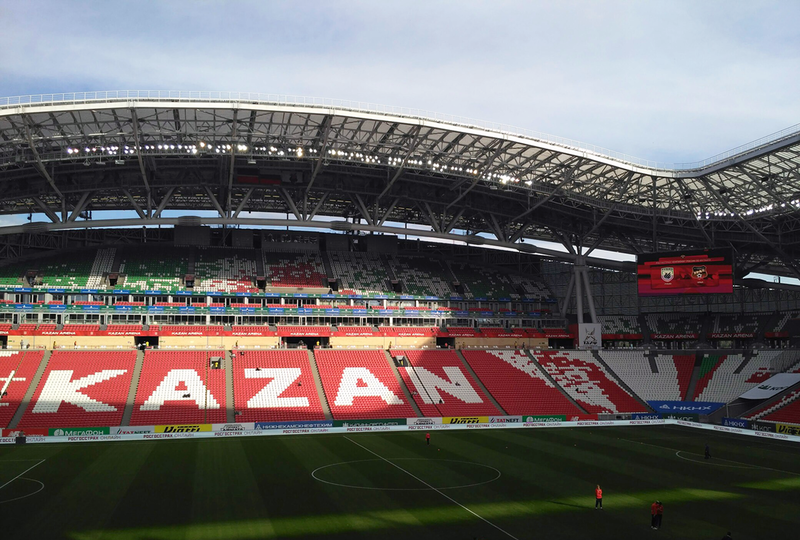 The Kazan club has always been one of the leaders among football clubs, not recognizing the capital’s authorities. 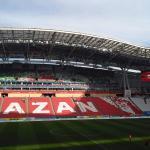 Naturally, it is obvious that Kazan has become one of the very first cities in relation to which the question of hosting the World Cup was raised. 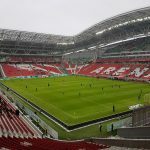 In addition to the fact that the stadium “Kazan Arena” is one of the most beautiful, it is one of the safest in the world. 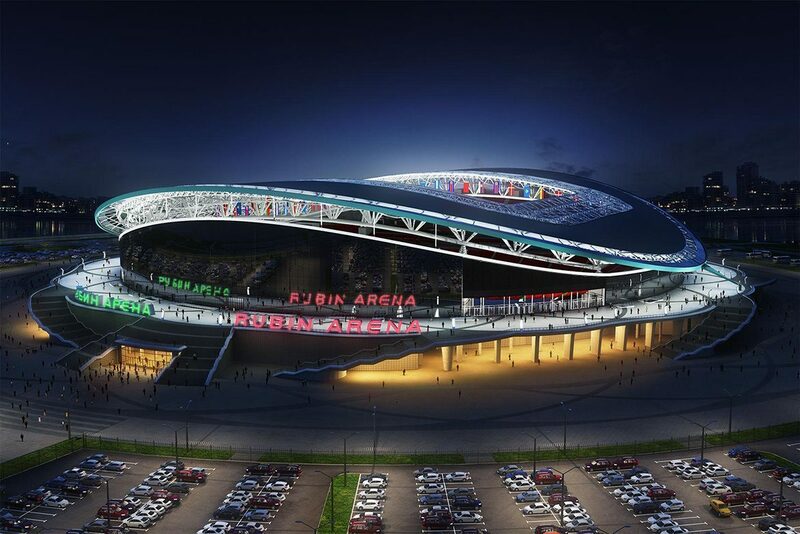 Without a doubt, after the football championship, the arena will find its application. After all, there is a strong club “Ruby”, which has repeatedly won the championship of the country. The silhouette of the stadium is like a lily. This is due to the stylobate. Such an architectural solution is simply a masterpiece. People go to the second floor of the stadium and then sit down at different levels. 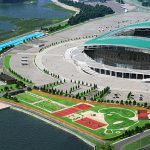 It is at the expense of the stairs that lead to the stylobate that the impression is created, looking at the stadium from above that it is a flower – a lily. 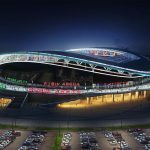 “Kazan Arena” will host the group matches of the 2018 World Cup, 1/8 and 1/4 finals. All who visited this unique stadium in one voice say that the arena is fascinating not for its scale, but for comfort. The arena is called a “city in the city” and it is symbolic, because inside the stadium is its own life, its metropolis. A huge number of podtribunnyh rooms, cafes and much more. But for the time of the World Cup all these institutions will be temporarily closed. The stadium was built around the clock in three shifts. 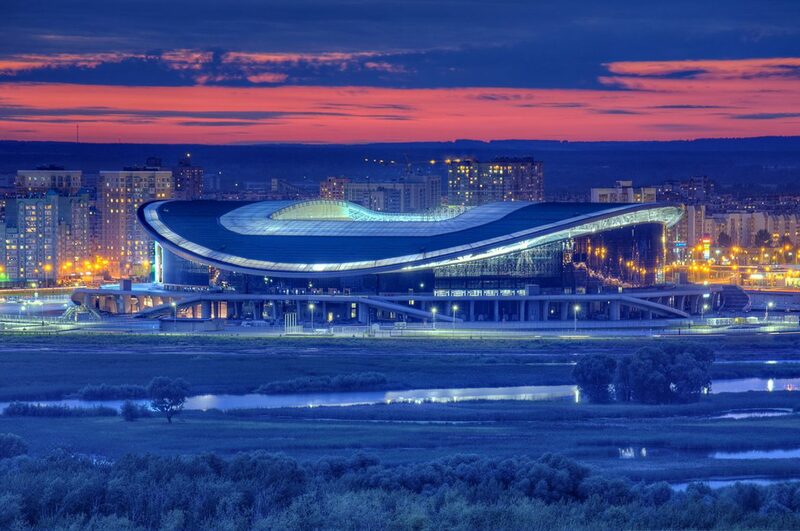 Therefore, the construction of this arena is considered one of the fastest. Without a doubt, to every fan of football and just a tourist, it will be fascinating and interesting to get acquainted with such a beautiful building closer. 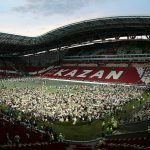 None of the tourists left the city without taking pictures with such a stunning landmark and pride of the city as the “Kazan Arena”. 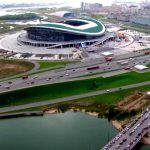 In 2010, the Russian President implemented the first stone laying in the foundation of the arena. In 2013, the famous Universiade was already held here. The opening of this event was attended by more than 45,000. The stadium was completely filled. This was exactly the first check of the structure for strength and quality. 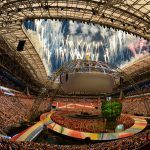 That is why, “Kazan Arena” is able to carry out large-scale events at a high level. 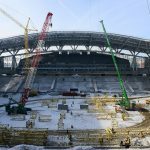 In addition, never occurred in the history of the stadium problems with the delivery of fans from the stadiums at the destination. Always coherently organized bus routes specifically for people. The year of 2015 was marked by the fact that the football field was removed from the stadium and pools were installed. There was a World Cup in water sports. 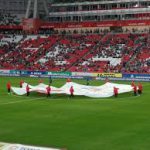 At the end of 2017 a natural lawn was taken off the field. Left only artificial. Landed a new live lawn, which meets the requirements of FIFA for the World Cup in football. 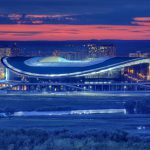 Initially, in the structure of Kazan Arena, emphasis was placed on holding international tournaments. But, FIFA still found an excuse to make remarks though insignificant. 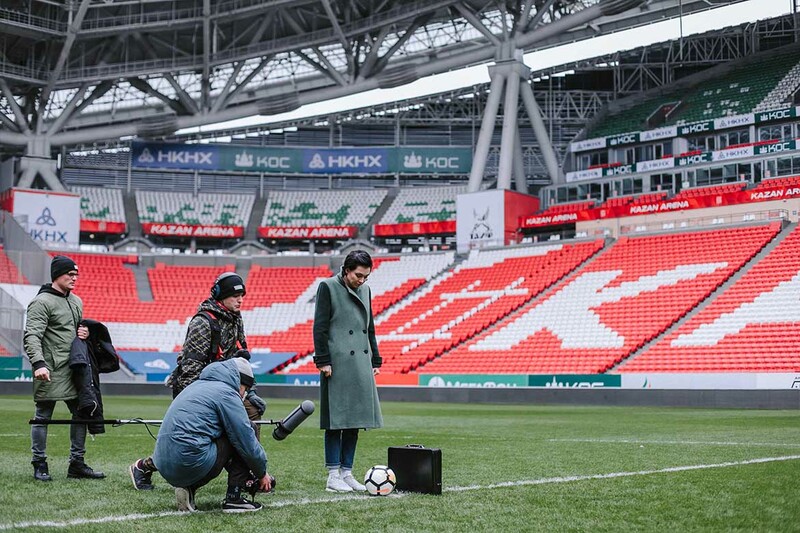 When FIFA representatives visited the stadium, the first thing they noticed was the grid in front of the audience. This was a requirement of the Ministry of Internal Affairs to ensuresecurity during matches. However, during the World Cup these nets will not be. 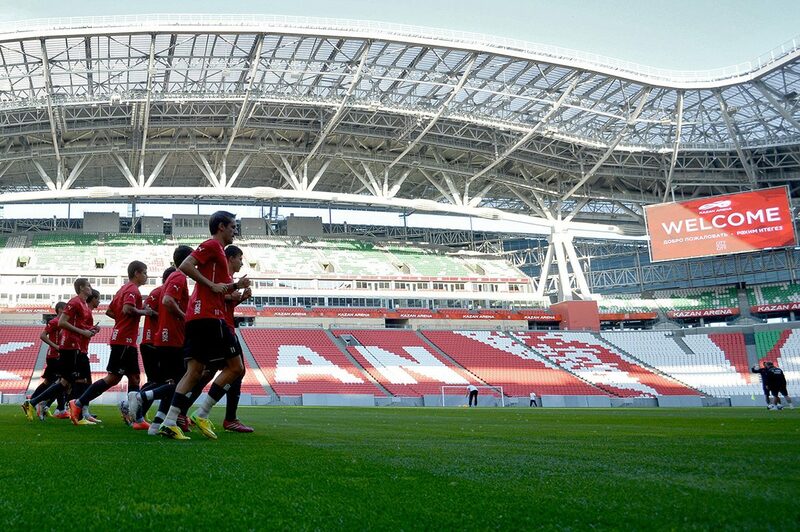 The first football match of the national championship at the stadium “Kazan Rubin” was held in 2013 between “Ruby” and “Locomotive”. The game ended in a draw 1: 1. 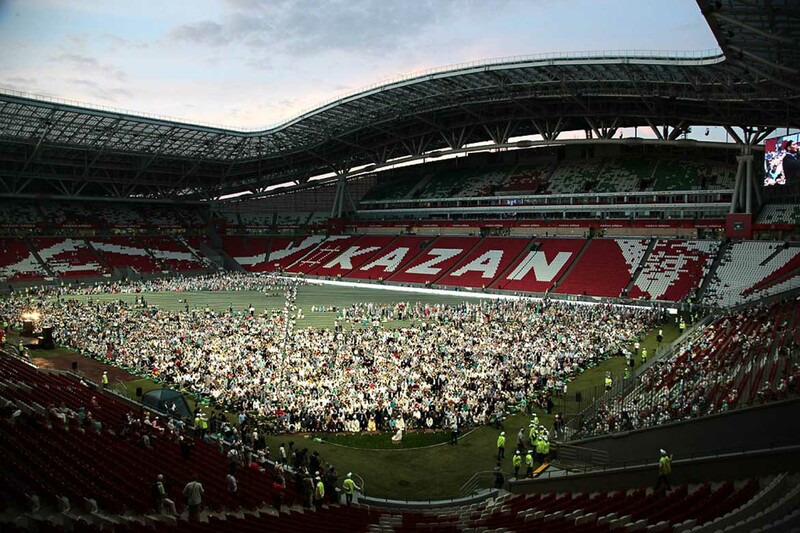 The stadium in Kazan is a multifunctional platform. More than 100 different events are held here every year. 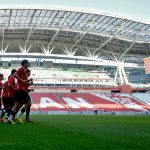 Visiting of spectators in a year reaches a mark of 1 million. In the arena there are concerts, theater performances, fairs, festivals, holidays. 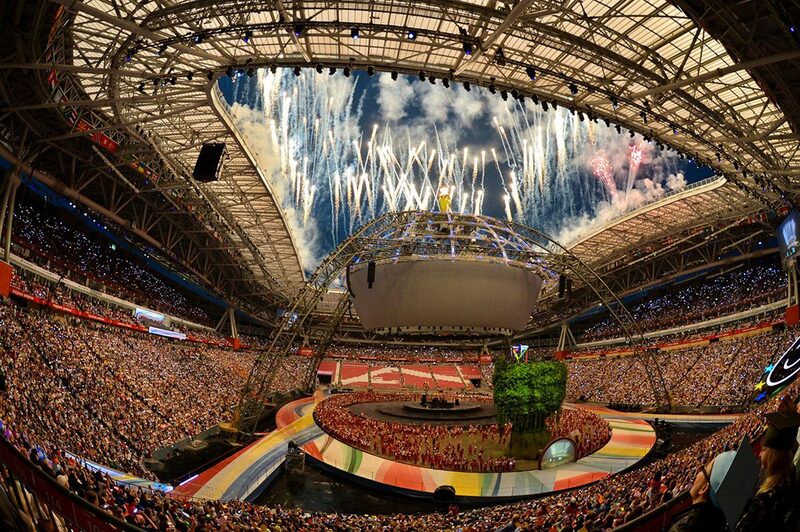 I like very much the children’s events at the stadium. 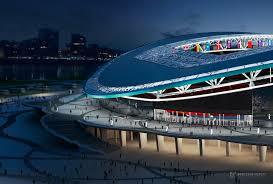 It is the first stadium in the whole of Russia, which fully meets all the requirements of FIFA before the World Cup 2018. Also, he was the first to be ready for World Cup matches. 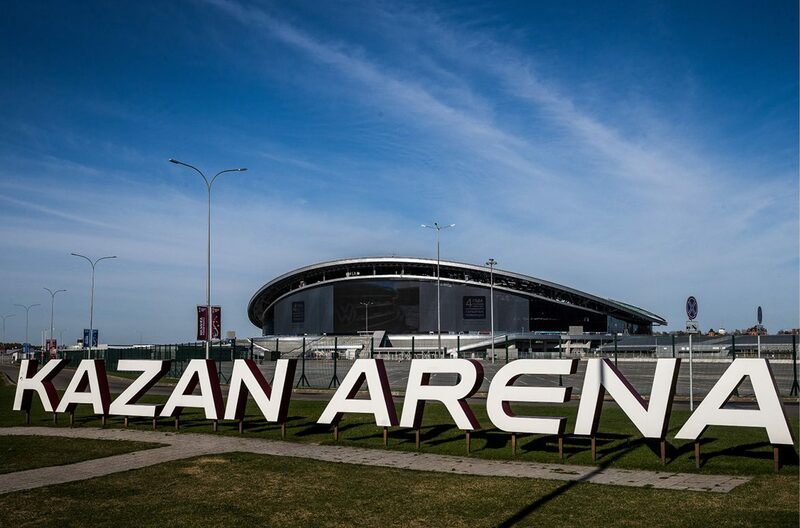 “Kazan Arena” corresponds to 5 FIFA stars. 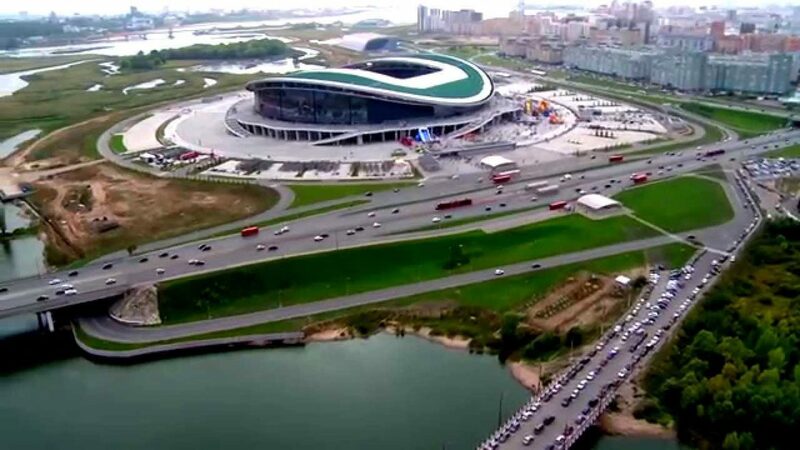 It is the only stadium in the world where they have set world records on swimming (12 records). 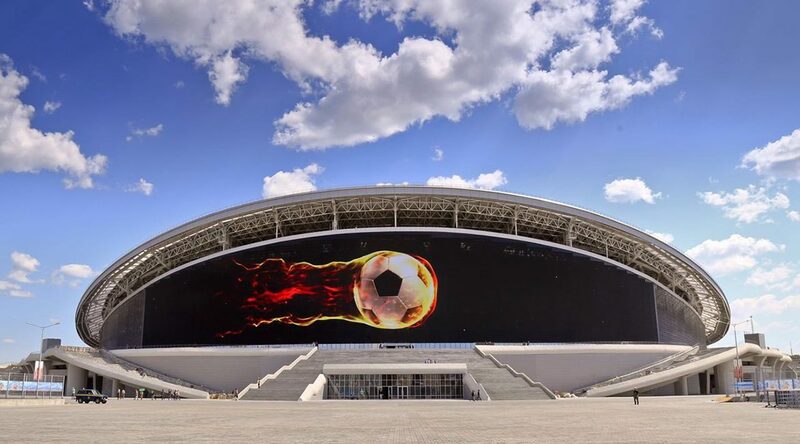 The largest media facade in the world, where you can watch not only the repetitions of the match, but also watch movies or significant events in the life of the city. 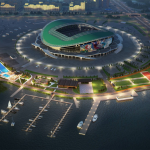 The project is recognized as a model (exemplary) for all future football facilities. The fire extinguishing system is divided into active and passive. Active modern pumps are active, which work automatically. Passive – these are seats that are fireproof. 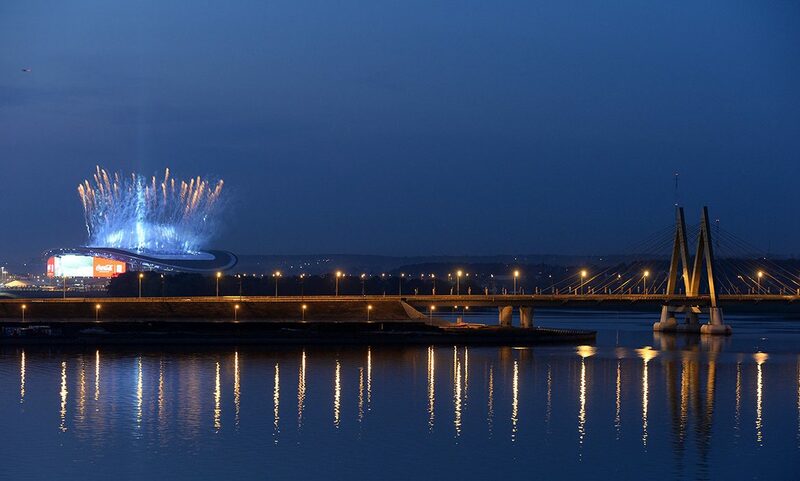 The proximity of the river (Kazanka) to the stadium played an important role in the design of the structure. Architects wanted to create the lightness and freshness of the arena. The weight of steel structures of the roof is 12 tons. Between the first rows and the football field has a large enough space. This is intended to ensure that when carrying out large-scale activities on there was a strong load on the lawn. The commissioning of the facility took place in record time – only 36 months. The design is very airy, but it is very reliable. 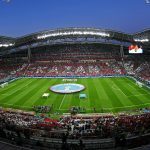 For 4 Confederations Cup the stadium accommodated more than 150 000 spectators. The stadium is equipped with places for people with disabilities and people who are overweight. 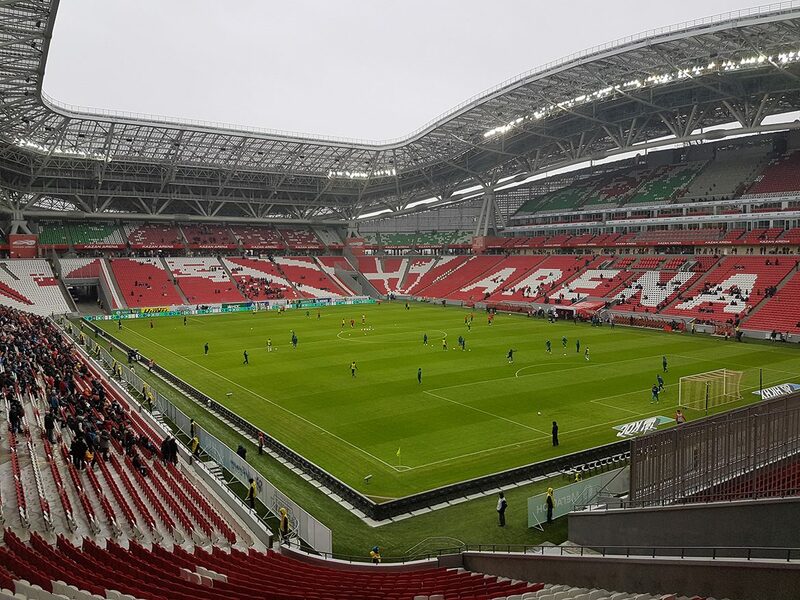 In 2016, the final of the Russian Cup between Zenit and CSKA was held in the arena. There are no benches in the locker rooms of the players. Instead, they have soft, comfortable seats. One of them even rested with Ronald. In addition, there is a Jacuzzi in the locker room. New installed seats for stadium representatives are less comfortable. Previously, these were soft armchairs. But while the request of the representatives themselves, hard and hard chairs were installed. 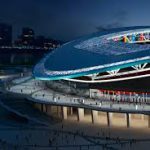 Photos of other stadiums in the arena during the World Cup will be lifted or suspended. In the building of the stadium there is a hotel with 12 rooms, from the windows of which there is a fantastic view of the football field. 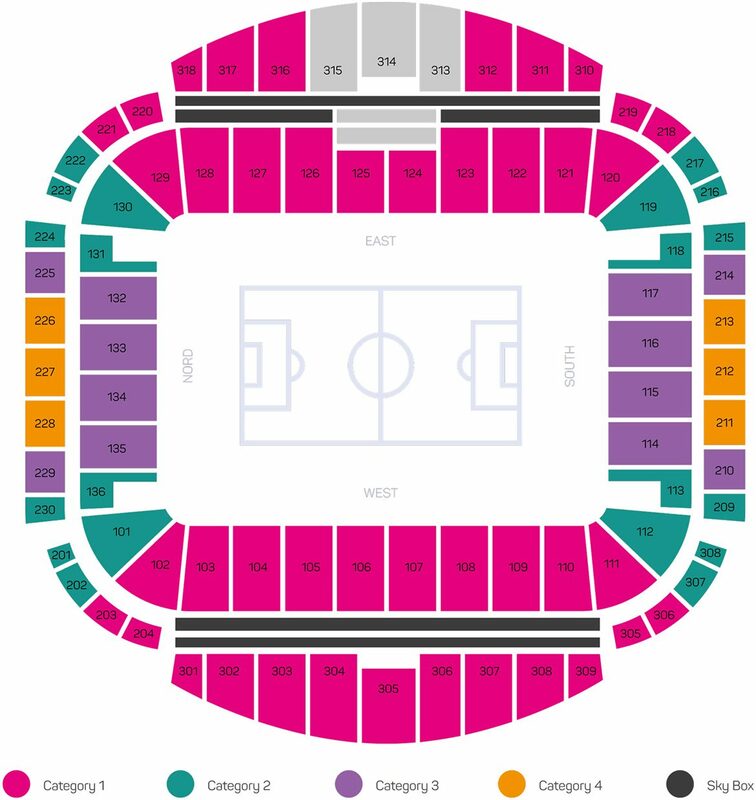 All that is necessary for visiting the stadium is the purchase of a ticket for a certain match. If the fans want to pay at the stadium, then you need to have bank cards with you. 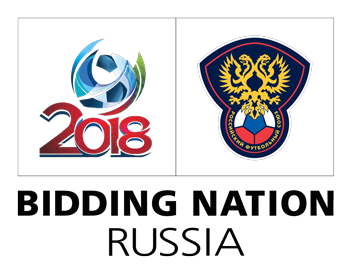 A prepaid card is a subscription to the football games of national teams. It also serves as a pass to the stands. At the stadium there are special machines, in which you can also buy such cards, which is very convenient for fans. Weapons in all its manifestations. Items that can somehow be used in the form of weapons (for example, umbrellas in the form of a cane). Tripods for photo (video) shooting. The same applies to self-stick. Means for body protection, used in various types of martial arts. Bottles, jars, various vessels, glass and fragile items, packages, including tetrapacks. 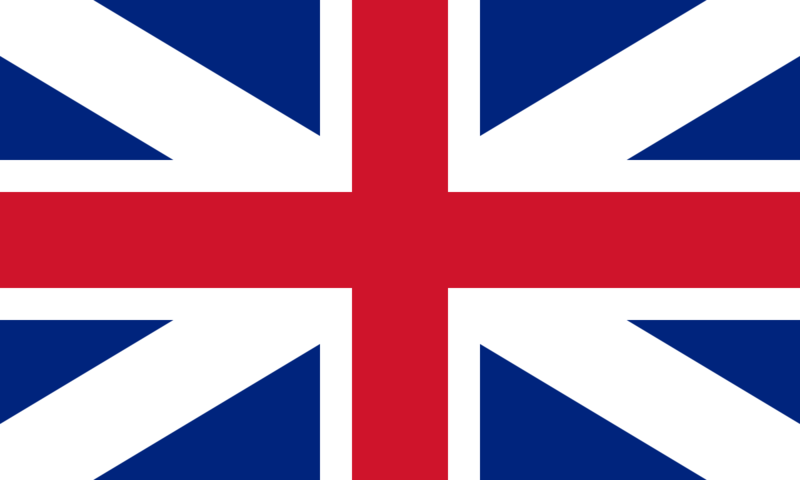 Means that can interfere with the game (lasers, lights, radion, vuvuzels, means for amplifying the sound). Throw any objects in the audience, players, judges. Act in an unlawful manner that creates a danger to the people around them. Stay in a state of intoxication, discrediting human dignity. 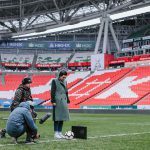 In various forms, offend other people staying at the stadium, depending on their views, gender, nationality, preferences, age, etc. Violate the rules of public disorder. Expose intimate parts of the body or incline people to such actions. Hide your face with a mask and other disguise items that complicate the identification of the person. Advertise products or services, carry any materials containing advertising. To carry out any trade. Disseminate Nazi, political, religious products. It should be emphasized that even if the fan does not know each point of these prohibitions, but carried to the stadium any of these objects (substances) or even similar items, he will not be admitted to the arena. Location: Kazan, Tatarstan. 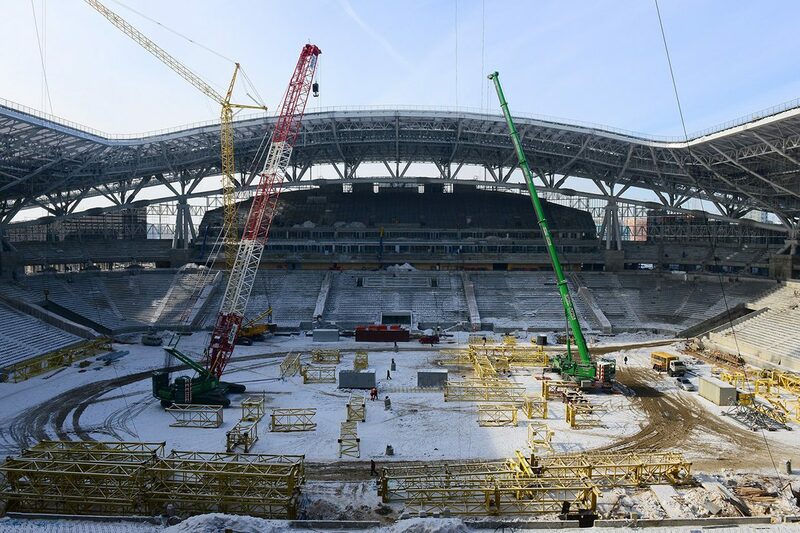 The stadium is located in Novo-Savinsky district of the city. The number of seats in the stands: 45,379 people. Number of parking spaces: 6,285. Number of press places: 800. Skybox: 82. Panoramic view of the football field. They can accommodate from 8 to 24 people. Media facade: 3,700 square meters. Bus. The arena can be reached by various routes. 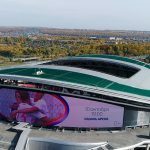 1, 7, 10a, 18, 33, 35, 35a, 44, 45, 46, 49, 55, 60, 62, 76 – all these routes go to the stops of the Kazan Arena and Gavrilov Street (from some to the stadium 10 minutes machine step). However, do not forget about the 1.5 kilometer zone, where transport will be allowed. Tram. You can also get there by trams, routes – 5 and 6. They stop near the stadium. The car. On this type of transport you can only get to the nearest parking lots, and then by public transport to the stadium. 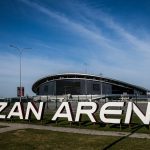 It is not recommended to visit the arena on private transport, because the traffic near the “Kazan Arena” will be blocked. In the days of the matches, the stadium parking will be limited, so it’s better to park the car in the parking near the stadium. But it should be borne in mind that they are paid. 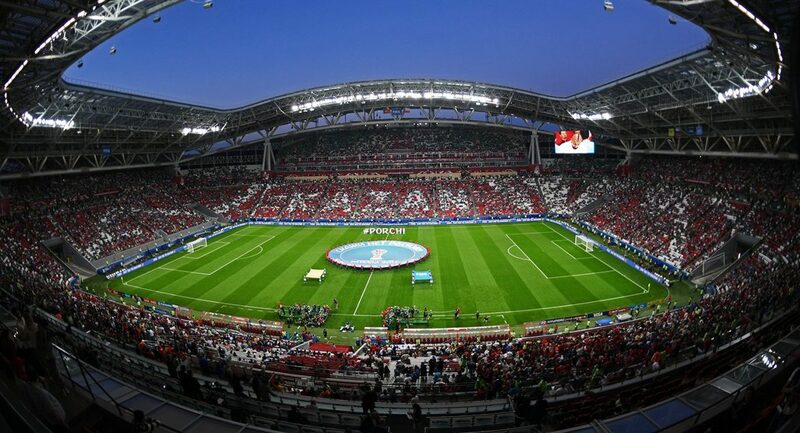 In order to enjoy the match and enjoy the amazing moments, it is necessary to adhere to all established rules of conduct and then it will be possible to fully breathe the football atmosphere.